Released in 1982, this album is a very solid chronicle of a BOC live during the height of their career. Combining prog elements with accessible hooks and potent metal, this album definitely qualifies as prog metal. On this album, BOC (Eric Bloom, Joe Bouchard, Rick Downey, Allen Lanier, Buck Dharma and Albert Bouchard) are joined by The Doors` Robbie Krieger on Roadhouse Blues. 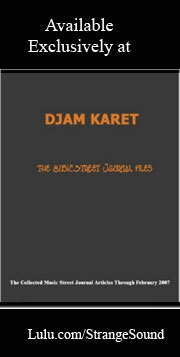 This review is available in book format (hardcover and paperback) in Music Street Journal: The Early Years Volume 4 at lulu.com/strangesound. A good way to start off the album, this is a solid BOC rock and roller. Cities is definitely a potent riff based rocker. 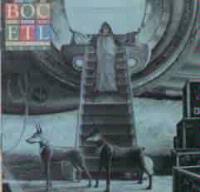 After an almost Tullish intro, this is a groove oriented rock and roll song in a classic BOC tradition. There are other moments where those Tull influences show up throughout the piece, but this is undoubtedly "the Cult". Another strong rocker, this one is a crunchy piece with quirky vocal arrangements. Wonderful piano work begins this spooky prog metal masterpiece. A fairly big hit for the band, this song has strong musical content while still possessing poppish hooks. The Doors` Robbie Krieger joins the band on this hard rocking cover of his band`s composition. Based on the writings of Michael Moorcock, "Black Blade" is potent progish metal with sci-fi/fantasy leanings. This live version is particularly powerful. Hot Rails is a potent rocker and a BOC standard. Complete with a spoken word story-based intro, this cut is one with which nearly everyone is familiar, and is a competent rock number. Another cut whose lyrics are by Michael Moorcock, this is a strong mood piece. As presented here, it features a nice metallic jam. An excellent sci-fi based prog metal tune, this one is lyrically based on UFO`s. The spoken intro here will have a familiar tone to those familiar with the TV series Battlestar Galactica. The processing on the voice is like that of the Cylons from that show. Containing definite prog elements, this cut is also quite accessible. It features a hauntingly beautiful guitar line and an instrumental break with a nearly hypnotic texture. This is another of those fairly universal songs which everyone seems to know.